You are here: Home / Appearances / Sarah finished her school year with speaking to over 1500 adults and kids! Sarah finished her school year with speaking to over 1500 adults and kids! During the past year Sarah has spoken to over 1500 teachers, media specialists, parents and kids in grades 3-6 about her book. Her presentations in schools are very well-received and she has quickly become a role model to students with her message about hard work making dreams come true. 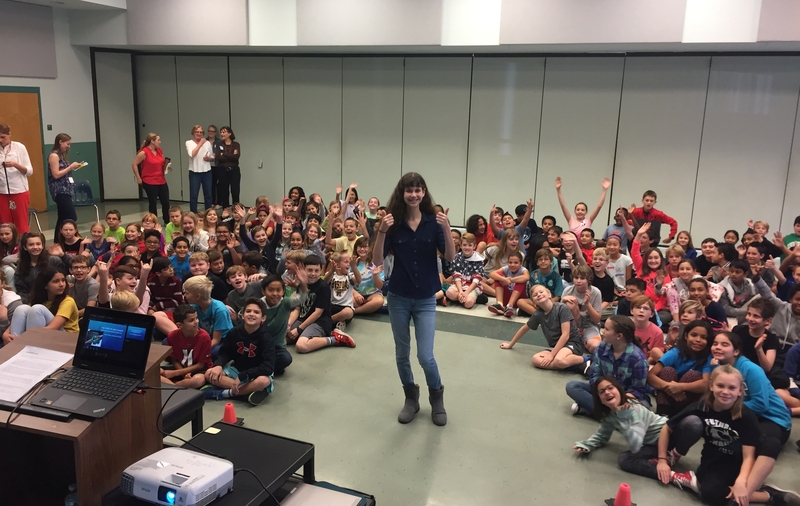 She has traveled to Illinois where she was a keynote speaker at Follett’s ReadingCon 2017, and visited elementary and middle schools in Hillsborough, Pasco, and Lake Counties. 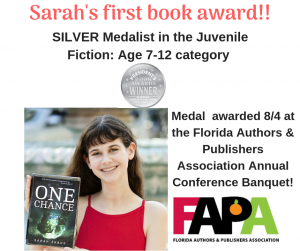 If you would like to have Sarah speak at your event, visit our Media/School Author Visits page.